In the early 20th century one million Jews from nine Arab countries and Iran were forced to flee lands their ancestors lived in for over 2,500 years. UN House Resolution 242 stated that Jews fleeing Arab countries were ‘bona fide’ refugees, yet the international political community, the media, and North American academic, human rights, and mainstream Jewish institutions have continuously ignored the Mizrahi refugee experience. The culture and spiritual contributions of Mizrahi Jews has also been left out of mainstream Jewish communal life and consciousness in North America. The marginalization of Mizrahi and Sephardic Jews from mainstream American Jewish life has left American Jews with a narrow view of what Jewishness looks like, what countries it comes from, what traditions it follows, what languages it speaks, how it engages with other Middle Eastern communities, and how it experiences Israel. More over, revisionist history of the Middle East excludes the fact that over half of Israel’s Jewish population live there not because European atrocities during World War II, but because of Anti-Semitic Arab governments who, under the color of law, dispossessed and displaced their native Jewish populations following the creation of the state of Israel in 1948. Adopted narratives of the Arab-Israeli conflict fail to address the fact that Israel was the largest refugee camp in the Middle East, providing safe haven to some 650,000 Middle Eastern and North African Jewish refugees whose ancestors had a continuous presence in the region for over 3,000 years. 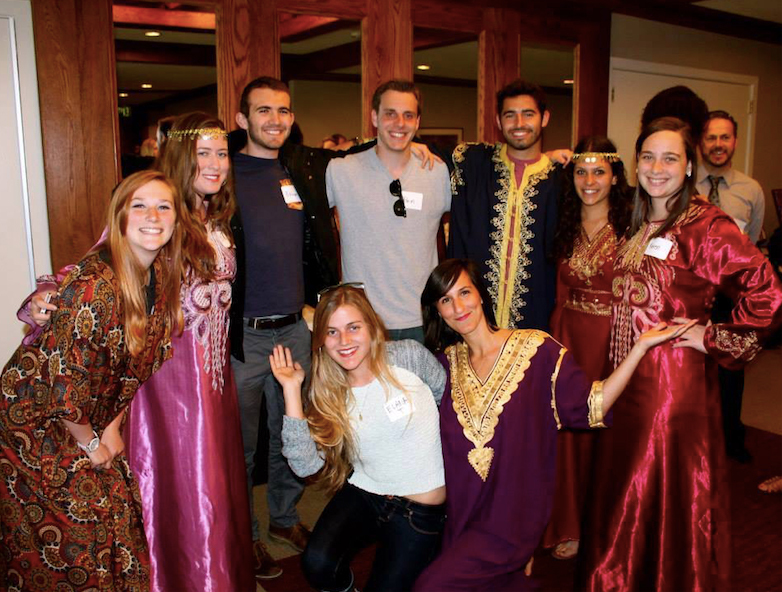 JIMENA was created in 2002 by former Jewish refugees from the Middle East and North Africa who desired to share their personal stories and rich culture with college students, policy makers and North American Jewish communal and lay leaders throughout North America. JIMENA speakers have shared personal testimonies with government agencies all over the world, more than 80 Universities in North America and hundreds of organizations. 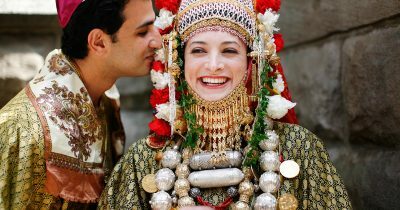 As the only organization in North America exclusively focused on educating and advocating on behalf of Jewish refugees and Mizrahi Jews from Arab countries, we remain a thought-leader and resource center for multiple institutions advancing the history, heritage and culture of Mizrahi and Sephardic Jews. Each month, the JIMENA website receives over 600,000 hits from around the world attesting to international interest in the issue of Jewish refugees from Arab countries and Iran. Revisionist history of the Middle East portrays Israel as a white, European colonial outpost in the Middle East and ignores the fact that over half of Israel’s Jewish population descend from Mizrahi and Sephardic Jewish refugees from Middle Eastern and North African countries who fled Antisemitic persecution in the 20th century. Revisionist narratives of the Arab-Israeli conflict fail to address the fact that Israel was the largest refugee camp in the Middle East, providing safe haven to some 650,000 Middle Eastern and North African Jewish refugees whose ancestors had a continuous presence in the region for over 3,000 years. Through our diverse programs, JIMENA is committed to combatting revisionist history by sharing the personal and communal stories of former Jewish refugees from the Middle East and North Africa. With a coalition of Sephardic agencies, we work to ensure that institutions are not advancing a revisionist history of the Middle East that ignores the one million Jewish refugees from the region. We are committed to advancing Jewish communal and public policies that officially recognize and prioritize the the basic rights of former Jewish refugees from Arab countries and Iran. As the American Jewish community becomes more diverse it is essential to provide high-level thought-leadership, culturally rich content and access points for Jewish institutions, communal leaders and the general publish to engage in meaningful programs and content that reflect Sephardic & Mizrahi Jews, Israeli culture and the shifting demographics in our community. By serving as a resource center for Sephardic and Mizrahi Jewish life, JIMENA enriches the communities and institutions we serve, strengthens cultural continuity with Israel and the Middle East, bridges gaps between local Jewish and Middle Eastern communities, and educates and engages American Jewish communities in the unique heritage and history of Middle Eastern, North African, and Israeli Jews. Through our partnership model, JIMENA serve as an access point for Jewish and non-Jewish institutions and organizations to be provided with content, information, thought-leadership, and communal support for the ongoing internalization and integration of Sephardic and Mizrahi heritage into organizational projects, programming and priorities. Our partnership model successfully meets the growing interest and demand for programs that reflect the diversity of the Jewish people. Since our formation, we are proud to have provided thought-leadership, support and Sephardic resources to nearly 600 community events, directly reaching an estimated 35,000 individuals. In 2011, JIMENA developed Arabic language outreach efforts to challenge anti-Semitism in the Arab world and to promote normalization between Arabs and global Jewry – including Israel. The story of the region’s indigenous Jews, when told compellingly, supports these two goals in four important ways. First, it boosts affinity for Jews by highlighting a commonality of culture and language. Second, it counters the claim that Israel and Israelis are aberrant to the region. Third, by extension, it highlights Israel’s “authenticity” as a component of its legitimacy. Fourth, it responds to the use of the Palestinian refugee issue to delegitimize Israel by highlighting the larger number of Jewish refugees from Arab lands and their substantially greater material losses. This information, in turn, provides the basis for a more honest and constructive discussion between Arabs and Jews – which JIMENA is fostering through direct outreach and engagement efforts in the Middle East and North Africa. The ultimate objective of JIMENA is redress for former Jewish refugees and their descendants in the form of official international acknowledgment, uniformly articulated across all branches of US government policy and mainstream Jewish communal life. We aim to educate and mobilize the American public and policy makers to protect the confiscated property and the basic human rights of Jewish refugees from Arab countries and Iran, as well as other threatened minorities in the region. JIMENA’s advocacy work is done in partnership with various Jewish institutions, lawyers, political strategists and experts. JIMENA speakers have provided personal testimonies at the UN Human Rights Council, UNESCO, US Congress, US Department of State, Israeli Knesset, British House of Lords, Italian Parliament, and Canadian Parliament. We’ve played a lead role in the advancement and passage of national and international legislation and policy that protects the rights of exiled Jewish communities and we are committed to continue working hard on active campaigns that pursue justice for Jewish refugees from Arab countries and Iran. We remain dedicated to our mission of achieving universal recognition for the heritage and history of the 850,000 indigenous Jewish refugees from the Middle East and North Africa. Our programs aim to ensure that the accurate history of Mizrahi and Sephardic Jews is incorporated into mainstream Jewish and Middle Eastern narratives in order to create balance in attitudes, narratives, and discourse about Middle Eastern refugees and the modern Jewish experience. Our programs and activities are guided by a clear set of eight organizational goals, a strong mission statement and one underlying objective, which were articulated during an in-depth stakeholder strategic planning process.